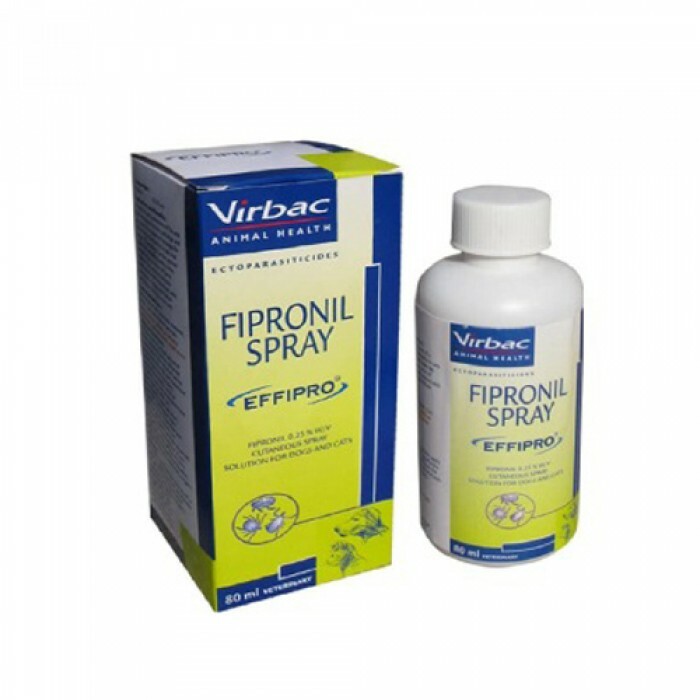 Product Details-Composition-Fipronil0.25%w/v. Indications?-Treatment-prevention of flea-tick infestations in cat- dogs.Dosage- 7.5-15 mg-kg body weight, or 6-12 pump application body weight for 80ml pack.Suitable-All Breeds Dogs.Quantity-80 ml. Product Information-Ticks and Fleas are a menace not only for our furry friends but also for us humans. To save your pets from tick and flea infestation, Virbac Effipro Anti Tick and Flea Spray is the best solution. Available in a 80 ml spray can, the spray can be easily used on cats and dogs. In case the infestation has increased, you may spray on the infected area and allow your pooch to air dry. The effective formula will reduce the tick and flea infestation over a period of time.